Do you, like me, sometimes spend more time creating images for your blog and for Pinterest, than you do actually writing your posts? First, it’s finding the right image that seems to add value to your post. Then, it’s creating a collage of a quote image that looks just right to you. You also have to keep in mind the ideal size for various media – blog, Facebook, Twitter or Pinterest. Altogether, quite a challenging exercise. 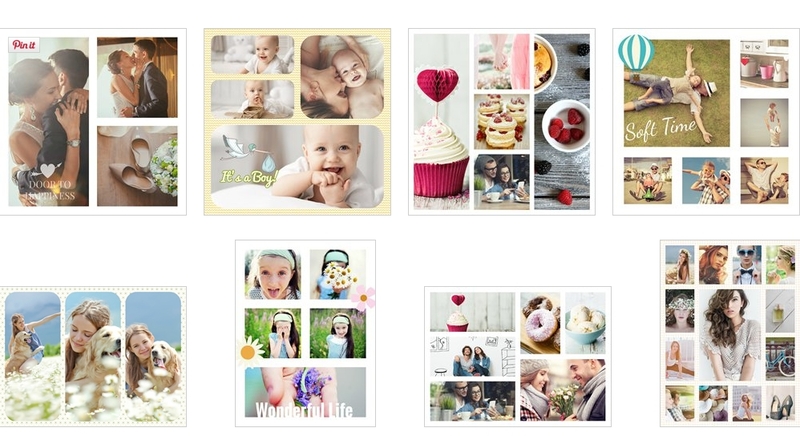 I still love PicMonkey, but I recently came across a free online software called Fotojet that helps you makes collages and has social media templates that helps you create lovely images quickly. I knew I had to share it with you. 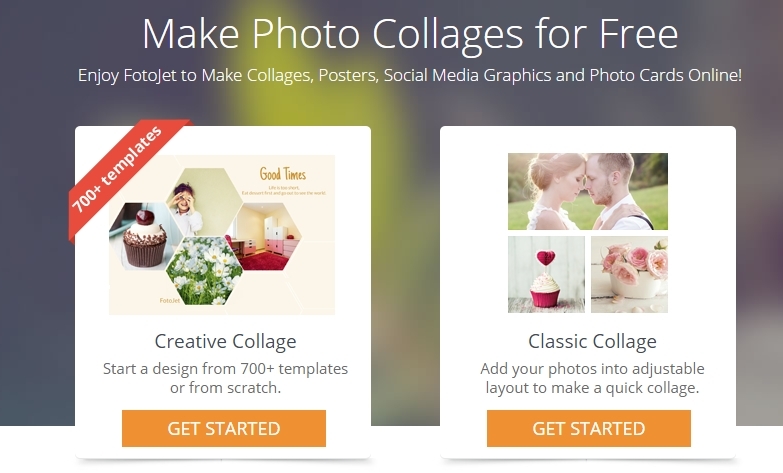 FotoJet is a free online collage maker that helps you turn your photos into amazing collages and then quickly share with family and friends via Facebook, Twitter, Pinterest or Tumblr, providing 700+ creative collage templates and 80+ classic collage layouts. It works perfectly in any browser without the hassles of downloading! 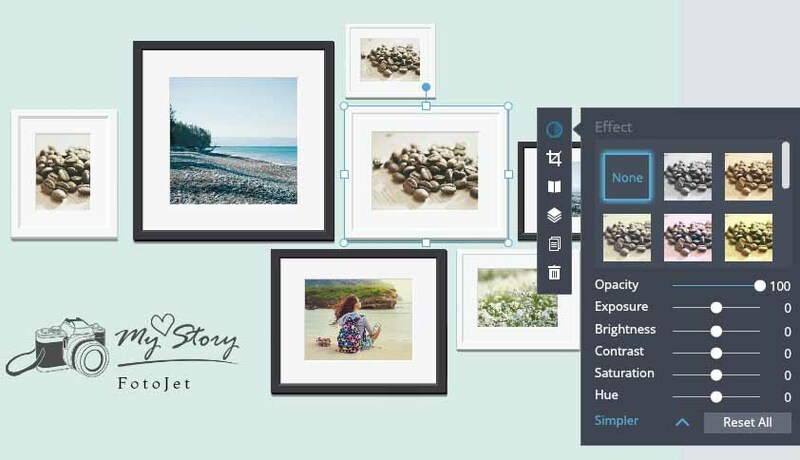 There are two modes for making collages that are Creative mode and Classic mode. In Creative mode, you can start a design from 700+ creative collage templates or from scratch. 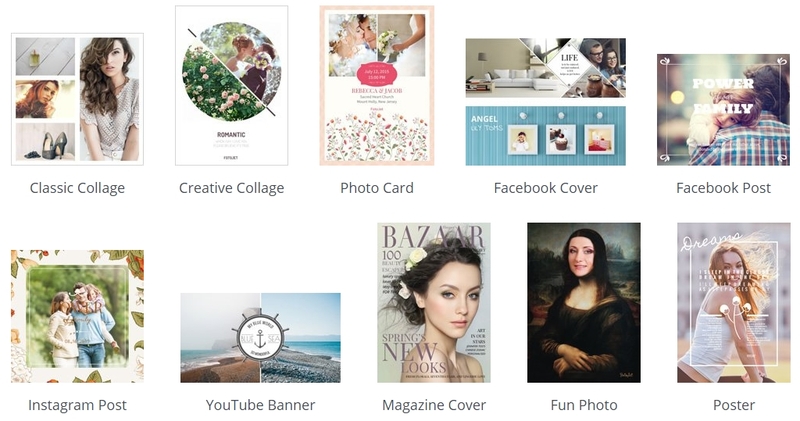 There are various kinds of templates offered such as Collage, Social Media (including Facebook Cover, Facebook Post, Twitter Header, YouTube Cover, etc. ), Photo Card, and so on. 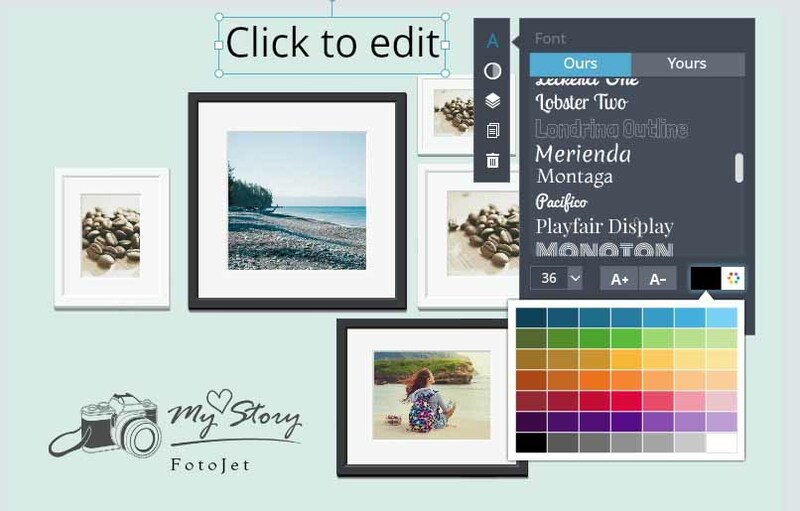 You can easily make a collage by choosing a template, adding your own photos, freely editing and customizing template with text or clipart images and then saving, sharing or printing. There are more than 80 fully adjustable collage layouts provided in Classic mode. To create a classic collage, you just need to choose a layout, easily add favorite photos, apply other decorations like clipart, text, and background and then choose to save, share or print. Even a computer novice can use FotoJet to make beautiful collages effortlessly! • 700+ perfectly designed templates, covering collage, poster, social media graphic, photo card, magazine and more. • 20+ beautiful background patterns. • 500+ delicate clipart images. • 20+ text fonts and 15+ preset text samples. 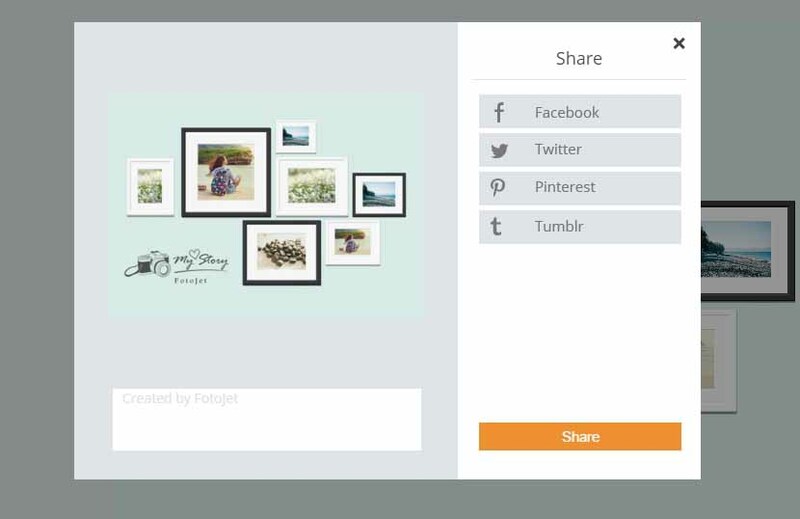 • Simply add photos from your computer or Facebook account. • Auto fill photos or manually drag and drop any photo to fill the canvas. • Freely crop photo and move it to show the exact part you want. • Apply popular effects to beautify photos and adjust the Exposure, Brightness, Contrast, Saturation and Hue at will. • Add clipart images and text to collage. • Edit text and adjust the font, color, size, and alignment at will. • Apply Outline and Glow effects to text. • Set collage background with solid color fill, 20+ preset patterns or with your own image. • Freely move, resize, rotate, and duplicate any object. • Select multiple objects for batch processing. • Manage layers of different objects. • Auto Snap – Align object both to individual object and to whole page while moving. • Save your collage as a JPG or PNG image as needed. • Share collage to Facebook, Twitter, Pinterest, or Tumblr. • Directly print your collage out. Go here to look at samples of what you can create with FotoJet. For tutorials go here. Try out FotoJet and let me know how you find it. First time I hear about Fotojet, it looks like an amazing tool! I use Photoshop to make my collages but after I see your review and the tools they offer, I would definitely recommend it to someone who doesn’t own Photoshop. Thank you! This I shall certainly check out. It was through your blog that I found pic monkey and I use it extensively. Thanks for this. Hope it works for you, Tulika. I still love PicMonkey, but these templates are easy to use for Pinterest friendly images. That looks like fun! I have a Canva account which is very similar. I made my daughter’s birthday invitations through it. I’m going to have to check out Fotojet to see how close it is to what I already know. I use Canva too, Loni. But I find that FotoJet has more templates on offer just now. I don’t know this service but am glad to. Right now I only do the basics and use Picmonkey on occasion for other stuff. I will try fotojet and let you know. I found it quite recently, Carol and it does save time. Wow! This seems amazing. Bookmarking it right now! Thanks for the tip! Hope it works for you, Shari. Wow, Corrine. This looks really wonderful!! I’ll be having a play around with it for sure. Thanks so much for the post. Love the menu headings at the top of your blog too….off to have a look around! Linda. I found the templates easy to use, Linda. Let me know how it works for you are you play around with it! All I can say is “OMG”. I mean this service seems to surpass what Picmonkey is offering right now. I have not had a chance to really delve in but it looks completely free with more options then Picmonkey is offering for free. Not sure how long that will last but it seems wonderful. A bit overwhelming at first but looks great. Have you seen instances where you have to use Picmonkey because Fotojet can’t accommodate? Yes, the templates are not offered by PicMonkey as yet, Frances. I’ve been using PicMonkey for so long that I’m used to the layers etc. It’s something I haven’t fully explored with FotoJet. Like you said, hope it stays free. PS: Missed you this Monday! Oh I know. I started a post this weekend and it wasn’t ready in time. Work got busy. I may be able to include it in on the Finish Sentence Friday and will post to Monday Musing next week. I’ve got to get better.